One of the easiest ways to make your conversations with customers more conversational, and friendly, is to speak in complete sentences. Last name? First name? Zip code? It’s undoubtedly efficient to ask customers questions in this manner. However, it’s not the friendliest approach. In this article, I’ll talk to you about instantly improving your ability to connect with customers and sound friendly by just speaking in complete sentences. Yes, speaking in complete sentences will take a few more seconds, but it’s so worth it, because of how the conversation will flow, and how you’ll be perceived, by your customers. Always ask in complete sentences. Moreover, use “please” and “thank you” whenever it makes sense. “Can I please have the email address associated with your account? When you speak in complete sentences, you sound friendlier, and the conversation will have a casual, natural flow. So, try to always speak in complete sentences with your customers. This fantastic tip comes directly from my Telephone Skills online training course, which is part of my customer service eLearning catalog. Learn more about our online classes and sample courses here. 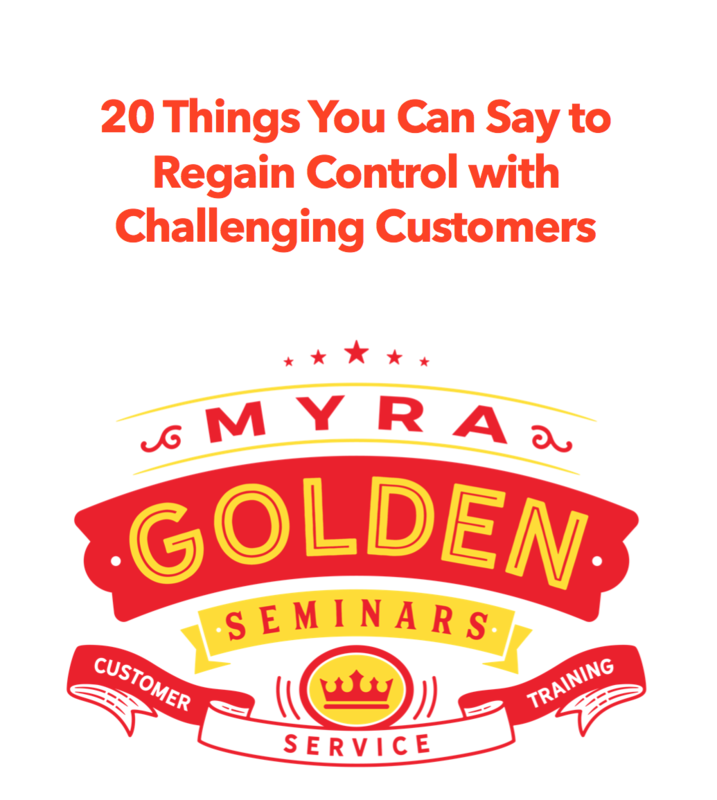 Previous Previous post: Having Trouble Controlling Conversations with Customers? This Will Help.